‘The Printed Picture’ — Four Centuries of Indian Printmaking is being held in collaboration with DAG Modern. The exhibition charts printmaking’s eventful journey in India from its inception as a tool of the colonial enterprise to its rapid success in the printing industry in the 18th century. It also traces the entry of the Indian bazaar print in the hands of the artisan as well as the art school trained artist. The exhibition is curated by artist and scholar, Dr. Paula Sengupta. The exhibition ‘Prints from Rajasthan’ showcases the work of key artists from Rajasthan and their contribution to the genre of print making in India over the past 5 decades. The exhibition ‘Khel’ has been organised by Chaap Foundation. It showcases the intelligent yet playful response by artists from 14 different countries to 3 ancient games Ganjifa, Saanp Sidi and Shatranj invented in India and Middle East. Referring to the various paradoxes of life, the games are interpreted by the artists, using different formal approaches to their socio-political realities. A curatorial walkthrough of the exhibition. 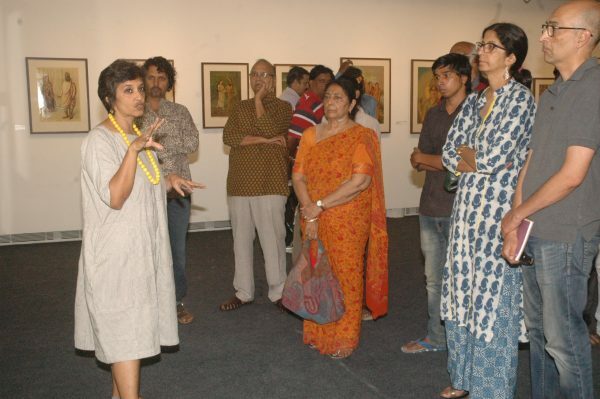 During the ongoing exhibition, curatorial walks, seminars and workshops have also been arranged. 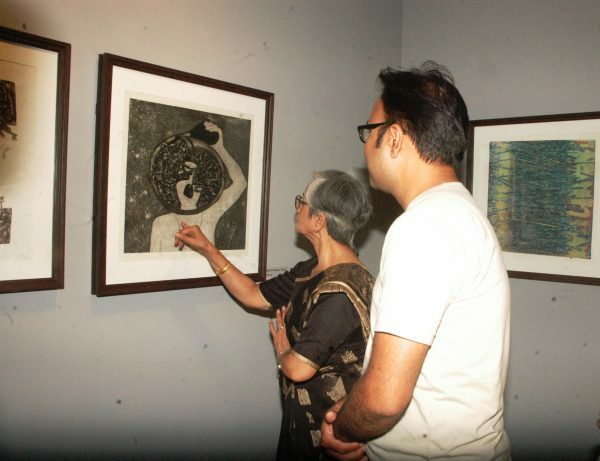 In a recently held curatorial walk through by artist and scholar, Dr. Paula Sengupta, she explained the visitors, all the nuances and intricate methods of printmaking like woodcut, linocut, serigraphy, lithography, etching, among others in a layman language. 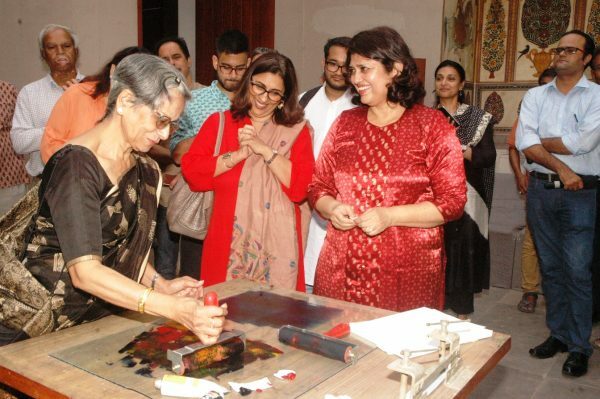 She showed the collection of old print arts that was made in India. 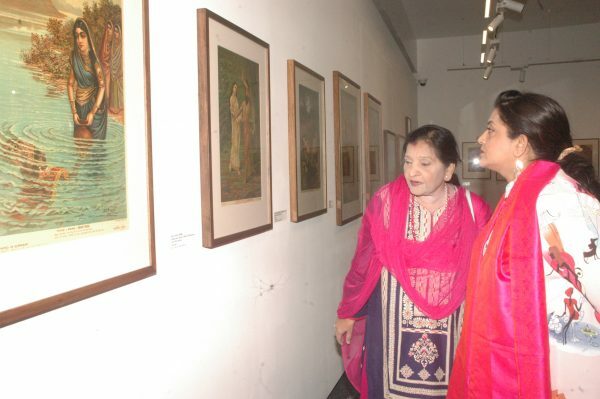 These prints were designed by eminent artists like Raja Ravi Verma, Somnath Hore and Gagendranath Tagore among others.